In this article you will find the’analysis of Letter written by Galileo Galilei in Don Benedetto Castelli. Galilei wrote the letter to father Benedetto Castelli, a Benedictine monk, his student, in 1613. Galileo Galilei This text has a number of thoughts about the possibility of using the Scriptures in matters affecting science, by l ’ example of the book of Joshua, denying the Copernican theory and the stillness of the Galilean Sun, Moon and Earth. 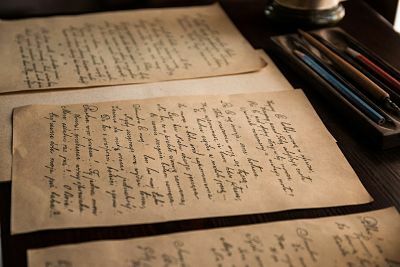 In the second part of the letter we find reflections on theories that argue that the Bible or more generally the scriptures contain the absolute truth and cannot lie. Galilei belies the fact that the scriptures contain elements from the word of God or the ’ existence of God himself but stresses the importance of a correct interpretation of the text ’ l. The serious errors according to the scientist, for example, to take the pure meaning of the words contained in the Bible or give God human qualities. Both derive from God, for this reason they can't contradict. Also it is unthinkable that God has endowed with reason and senses to then lead us not to use them. The syntax of the Letter is rich and easily understandable, Galilei uses the vulgar to reach a larger audience. At the end of the text exposes the heliocentric theory.